Men and women experience addiction to drugs and alcohol very differently. Likewise, they need different approaches to treatment. Rehab for men provides focused programs for men seeking lifelong sobriety. In men’s rehab, you focus on your specific physical, mental and social needs for your best chance of a better life. As a man, using drugs affects your physical body differently than how these same substances affect women. Mentally and emotionally, you also process drugs differently. You face social challenges unique to your gender. You also have gender-specific temptations and triggers for going back to your substances after sobriety. These all give you clear reasons for seeking rehab for men. Weigh the pros and cons of facilities available to you. 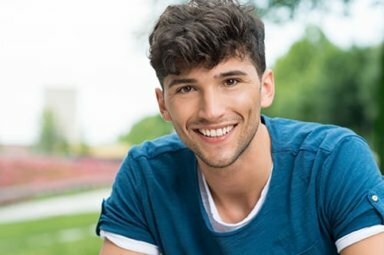 Consider entering treatment with men’s only therapies or services. These programs set you free from social and gender-related barriers to your better life beyond substance abuse. The National Institute on Drug Abuse (NIDA) reports gender-specific treatment options benefit men. The reasons for this include how men’s and women’s brains differ in response to drugs and alcohol. Men’s risks for drug abuse also differ from women’s risk factors. How men and women respond to treatment methods even vary among the genders. Men respond better to some types of therapies. The genders also drop out of treatment for different reasons. In rehab for men, males feel their treatment suits them better. They open up more to developing the coping skills and understanding of their addiction they need for long-term sobriety. One in every 10 men abuse drugs, according to the National Survey on Drug Use and Health (NSDUH). This compares to one in 15 women. This greater chance of abusing drugs makes the need for rehab for men quite clear. The most common problems for men in addiction include anger, controlling behaviors, and violence. This means men need individual counseling and group therapy specifically for these problems. Men also suffer unique emotional, physical, and sexual problems with addiction that women do not. Studies also prove that men respond better to treatment when rehab therapies take place without women present. Men tend to focus on social interaction with women when women share therapies. So with the absence of women, the men focus more on what they really need. Morningside Recovery in Orange County provides men’s programs for strong abstinence from alcohol and drugs. End your addiction to these substances and gain the happier, healthier, and more fulfilling life you want after addiction. You can gain the better life you want, need and deserve. You simply need the right help, help designed for men stuck in the cycle and damage of addiction. At Morningside Recovery you get the addiction therapy services you need. Call Morningside Recovery now at 855-416-8202 for more information about available programs.